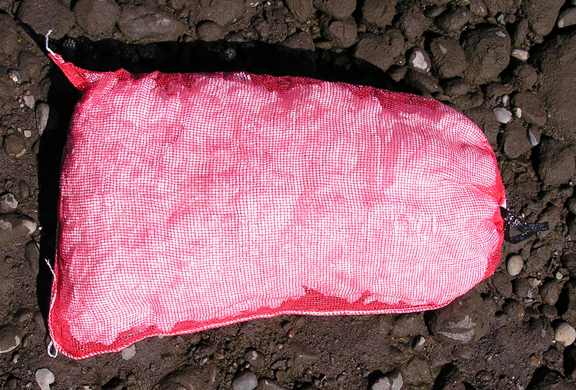 A large Oil Absorbent Pillow for catch basins and big jobs. 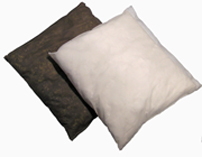 Net Bag Pillows are the perfect choice for one product to do multiple tasks. 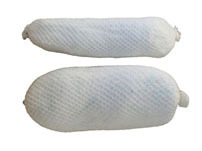 These can be used in place of pads or socks to absorb oil from a leaky drum or under leaky machiney and equipment. Made from polypropylene strips encased in a nylon mesh bag. Durable and quick wicking. 10 pillows per bale. Use to absorb larger spills on water. Just toss it on the spill. Floats for easy retrieval - even when saturated. Shipping rates are estimates only and do not include fuel surcharges that change daily. Actual rates may vary.